Well, it happened! The most observed and most photographed eclipse in history occurred yesterday, an event that will not happen again in this country until 2024. Millions of viewers from Oregon to South Carolina watched the moon pass before the sun in “the path of totality.” Some people drove hundreds of miles to see it and stand ready with their special solar-eclipse glasses, and some of us simply stepped outside to view with our boy scout instructed shoe boxes. Part of the literary beauty of the Bible is how the writers used natural objects and events, like an eclipse, as metaphors to carry across and communicate spiritual truths. 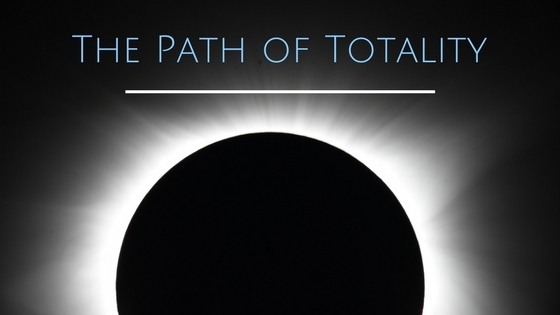 In his remarkable work, The Glory of Christ, John Owen captures some of these truths when he says, “When the sun is under a total eclipse, it loses nothing of its native beauty, light, and glory. It is still the same that it was from the beginning, a ‘great light to rule the day. '” To us it appears as a dark, useless meteor; but when it is freed from the lunar interposition, it manifests again its native light and glory. The same thing is true with the divine nature of Christ. The writer of Philippians identifies an eclipse of the divine nature by saying that Christ Jesus made himself nothing, taking on the very nature of a servant. He veiled his glory by the interposition of the flesh. Isaiah says of Christ, “He has no form or majesty that we should look at him and no beauty that we should desire him. He was worthy of being esteemed yet he was despised and rejected.” Total eclipse! However, in the form of the flesh, even stretched out on the cross, Christ lost nothing of his native beauty, light, and glory. Yesterday’s eclipse lasted under two hours and the sun was seen again at full strength. The divine eclipse lasted three days, and then the resurrected Lord displayed his full glory and strength.